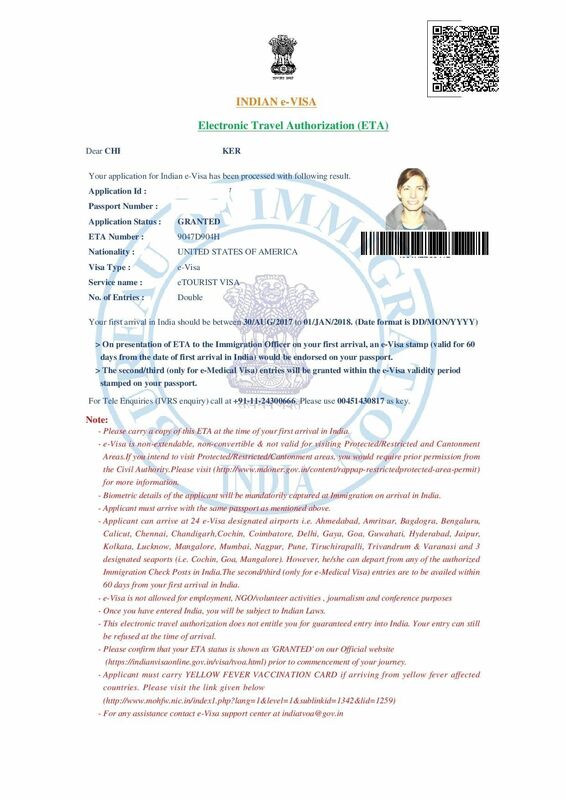 - India eVisa (e-Visa) is required for all foreigners planning to enter India including the US citizens. The e-Visa can be availed for maximum of two times in a calendar year i.e. between January to December- The validity of e-Visa approval letter is 120 days from the issued date. If it is expired, entry will be denied. - The US citizens traveling to India for periods under 60 days can now apply for an India eVisa before arriving. It is an electronic visa that allows its holder to visit India for touristic, business or medical purposes for up to 60 consecutive days. Step 2: Confirm and Pay. After that, fill in the additional form online and then check your email to review it.